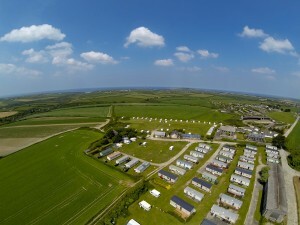 CHEAP CAMPSITE IN CORNWALL FROM JUST £15.00 per night – Call 01841 520117 for more information! 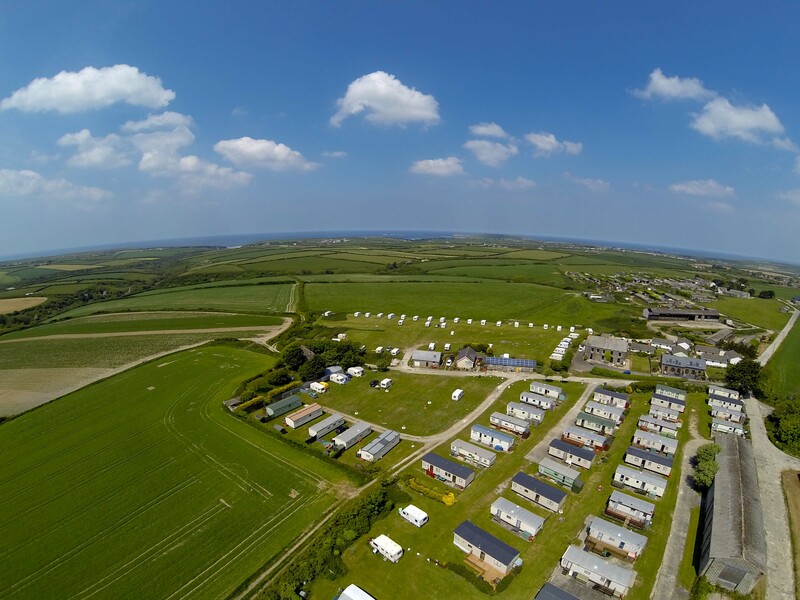 Seagull Tourist Park is a small and friendly, clean, cheap campsite in Cornwall; suitable for people who like a quiet countryside pitch to explore and enjoy the fabulous beaches and stunning coastline of this most beautiful part of Cornwall. Situated in the heart of a working farm with sea and countryside views and good access a quarter of a mile off the main road. The farm is a former bomber-training base for World War II with many historic buildings still standing today and the runways are occasionally used by light aircraft. 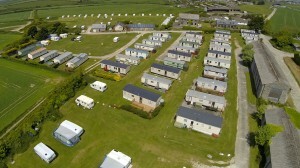 The Park comprises of 36 static holiday caravan pitches and around 60 touring pitches. The majority of the holiday caravans are privately owned (not sub-let) and used by the owners themselves. 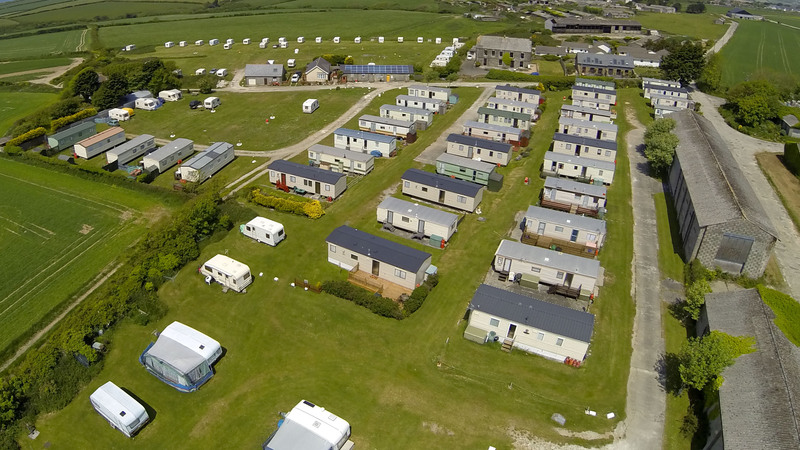 Many of the touring caravan pitches are taken by owners who love to visit and pay an annual store and pitch fee – full occupancy is rare. The Park has twelve electric hook-up pitches with further non-electric pitches, all suitable for motorhomes, touring caravans and tents. As the electric hook-ups are very popular it is advisable to book them early! The Park has three beautiful luxury static caravans for hire. They are equipped with toilets, shower, fridge/freezer, freeview T.V./ DVD player, gas cooker & fire as standard. They are two or three-bedroomed, some with double glazing and central heating. Touring caravan storage is also available, monthly or annually – please contact for further details. Please check our special offers page for details of current offers (subject to availability). The Park, about 4 acres, is mostly level and free-draining and offers essential facilities. There is a spacious toilet block with metered showers (buy tokens at receptions’ opening times) with three showers in Ladies and two in the Gents. Electric shaver points can also be found in the Gents. The Park also has it’s own laundry room with metered hot water, electrical points, a pay washing machine and separate tumble dryer. Throughout the Park there are grey & waste disposal points, water taps, and fire-fighting equipment. The site also has a pay-phone for convenience. Call at reception to have your service batteries re-charged and your ice-packs frozen. There is a well-stocked Londis shop with cash-point, bar and take-away within walking distance of Seagull. Alternatively, St Merryn village (6 mins by car) offers pubs, bakery, fuel, post office, hairdresser, cafes, shops and an ancient church. The nearest supermarket is at Padstow, wider choice can be found further away at Wadebridge. 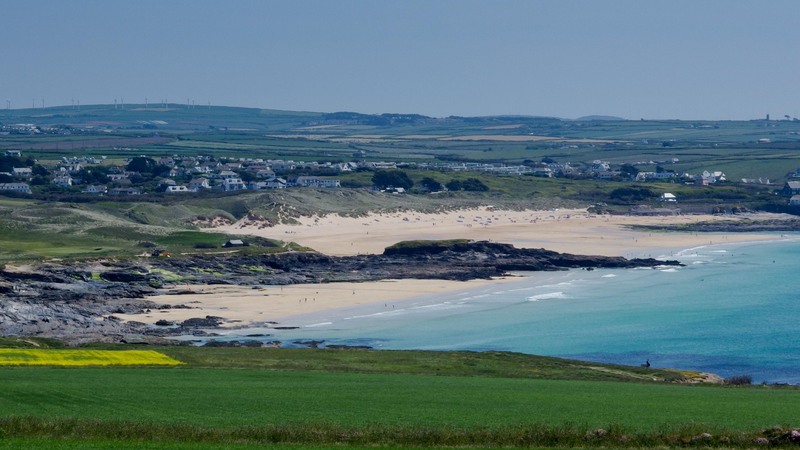 Only ten minutes by car to any of the fabulous seven golden sandy beaches that St Merryn is famous for -Trevone, Harlyn, Mother Iveys, Boobys, Constantine, Treyarnon & Porthcothan Bays’. You mustn’t miss a trip to Padstow with it’s ancient fishing port and is now famous for its celebrity fish chef, Rick Stein. You will find plenty of restaurants to try and delicious Cornish Ice Creams to sample there! Bikes can be hired, and all manner of boat-trips, water-sports, mini-golf and other activites abound – don’t forget to visit the Lobster Hatchery. One of Cornwall’s best links golf courses can be found at Trevose Head. For the adrenaline junkie, Surf Schools and wave-riding nearby are all available. Come and enjoy a walker’s paradise, with stunning coastal footpaths, full with birds, flora and panoramic views. 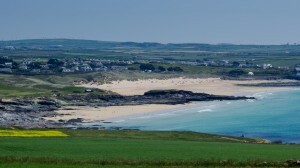 The whole of Cornwall is easily accessible from the park. Your visit could include a Cornish Tin Mine, one of many theme parks, or the world famous Eden Project. So much to do and see here! If you require further information or wish to make a reservation we will be pleased to help you – we hope to hear from you soon! Please leave a clear contact number and we will ring you back.